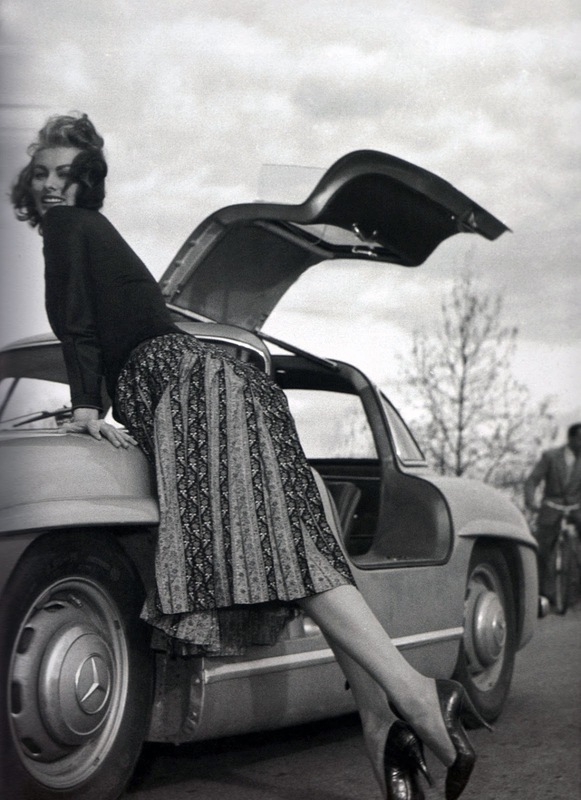 Some things in this world are unequivocal, and Sophia Loren posing with the Mercedes-Benz SL Gullwing in 1955 is certainly one of them. 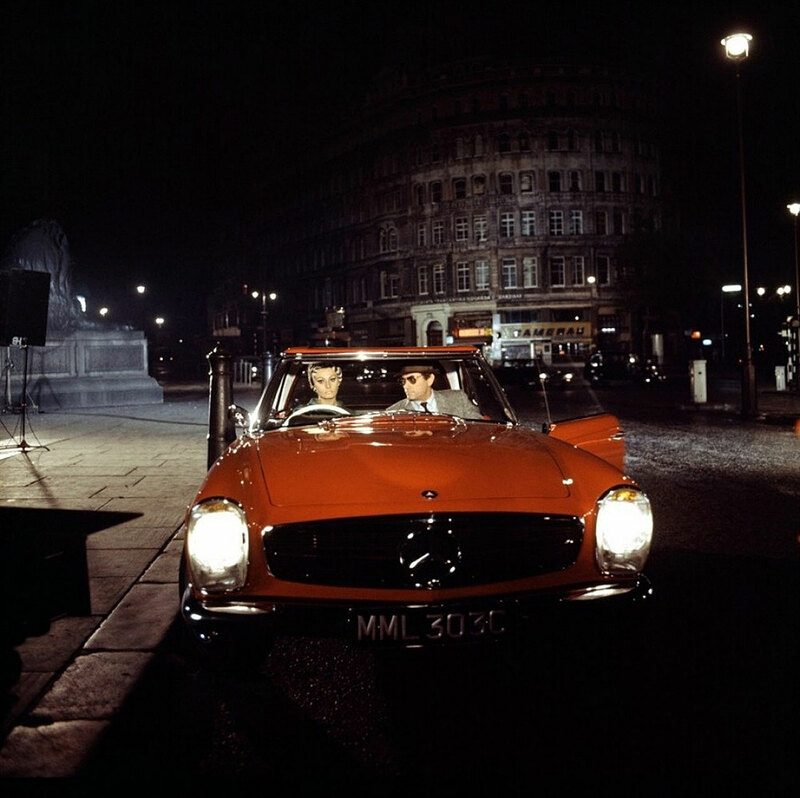 Mama Mia!!! 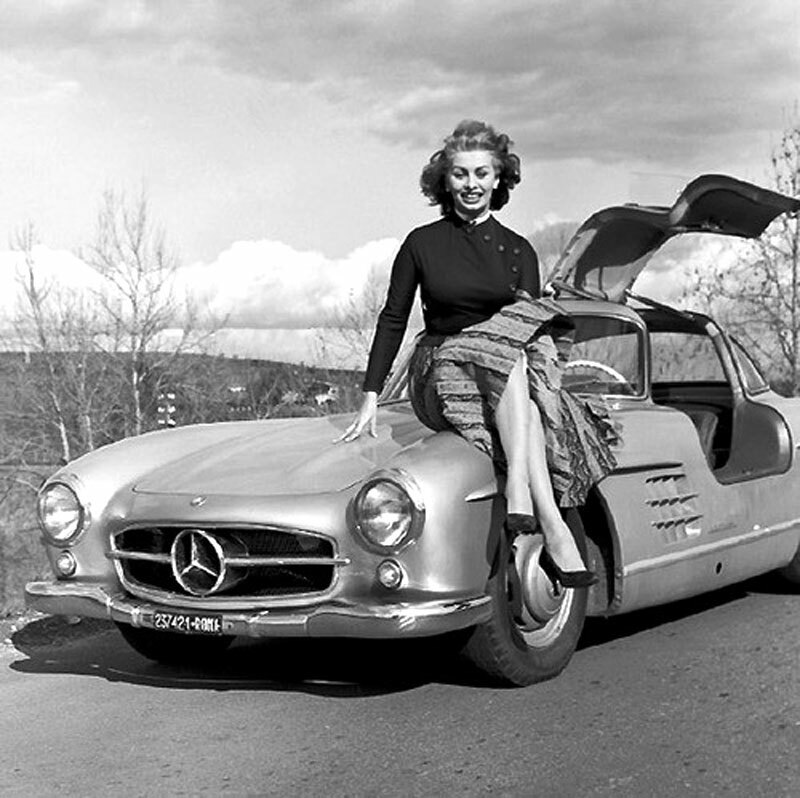 Sophia Loren is probably the most exotically beautiful woman that has ever lived, and in the late 1950 she owned and drove a Mercedes Benz 300SL Gullwing which she posed with quite a bit, as you can see in the following photos. 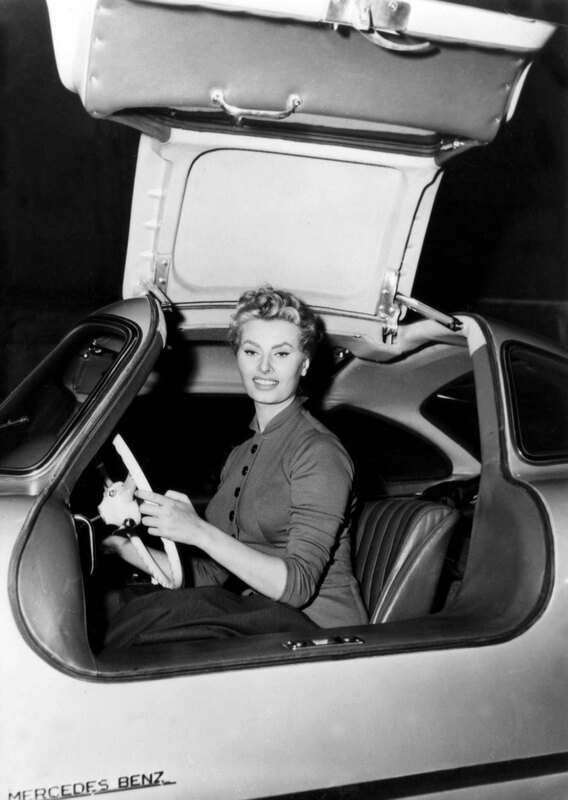 They say that people look like their dogs, and the same is likely true about cars. 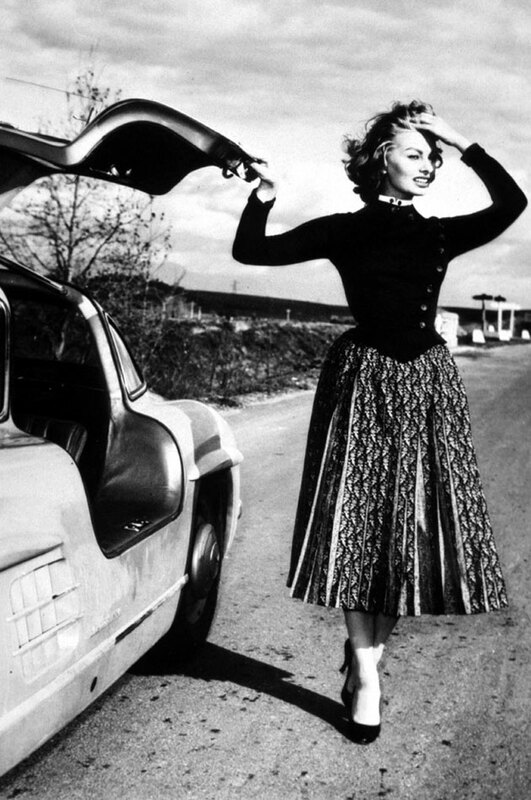 In other words, people choose cars that reflect their personality and sense of aesthetics. 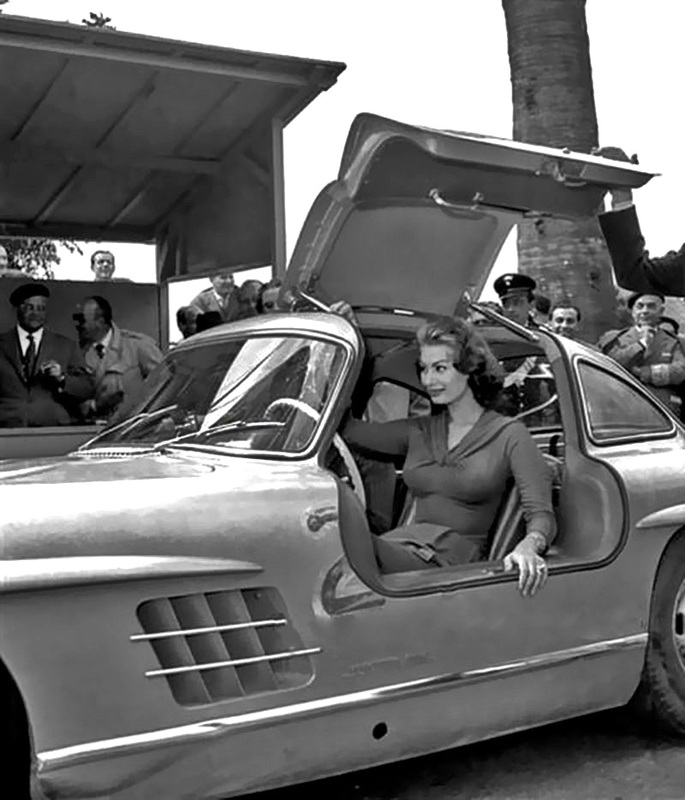 I don't know of any other female who so accurately chose a car that reflected their aesthetic and personality so much as Sophia Loren and her Gullwing 300SL. Why? 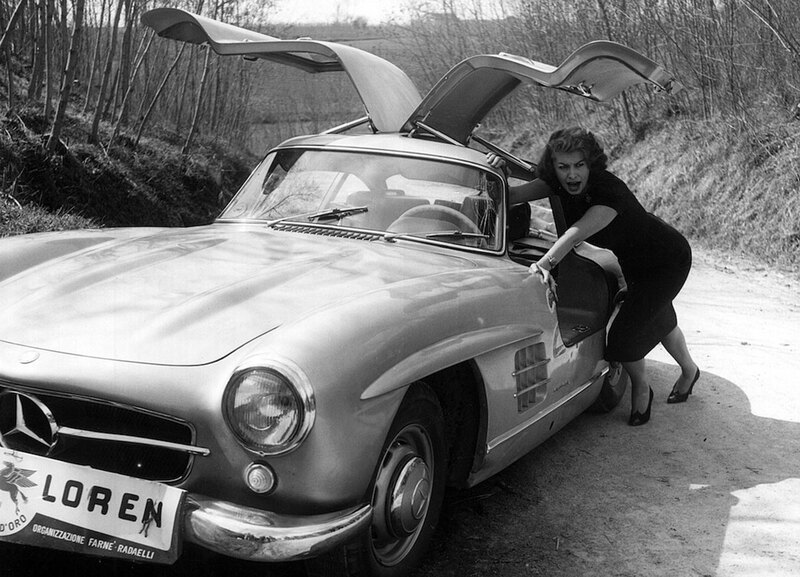 When the Gullwing doors are in the up and open position, they look like Sophia's exotic eyebrows. 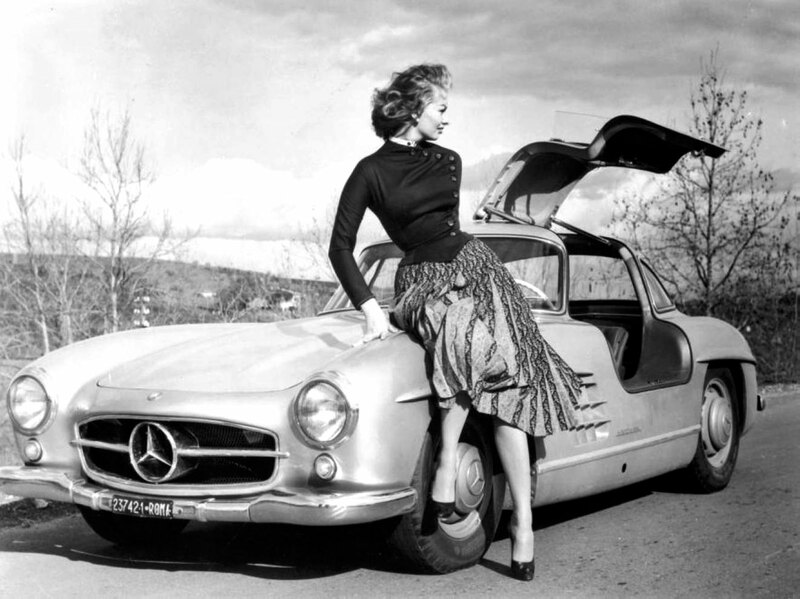 Both Sophia and the Gullwing have stunning curves, and both are completely timeless, exotic and highly chic.